CLOSEOUTS. 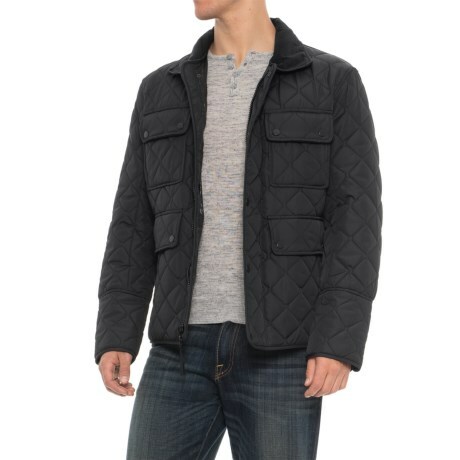 Light insulation, a water-resistant shell and a touch of fleece at the collar ensure you stay warm and comfortable in Andrew Marcand#39;s Canal quilted jacket. Available Colors: BLACK, INK. Sizes: S, M, L, XL, 2XL.